Stephen was fortunate enough to begin teaching at Wild Lilac nine years ago, drawn by our school’s unwavering respect for children and childhood. Now, in his fourth year as Executive Director, he is passionate about sustaining our school’s guiding values while expanding our mission. a staff of highly skilled, philosophically-rooted teachers who are passionate about supporting children’s learning, connecting with families, and building a shared learning community. While there are always new plans forming and exciting changes taking place at our school, Stephen remains committed to the heart and vision of Wild Lilac—a program that honors all children, families, teachers. 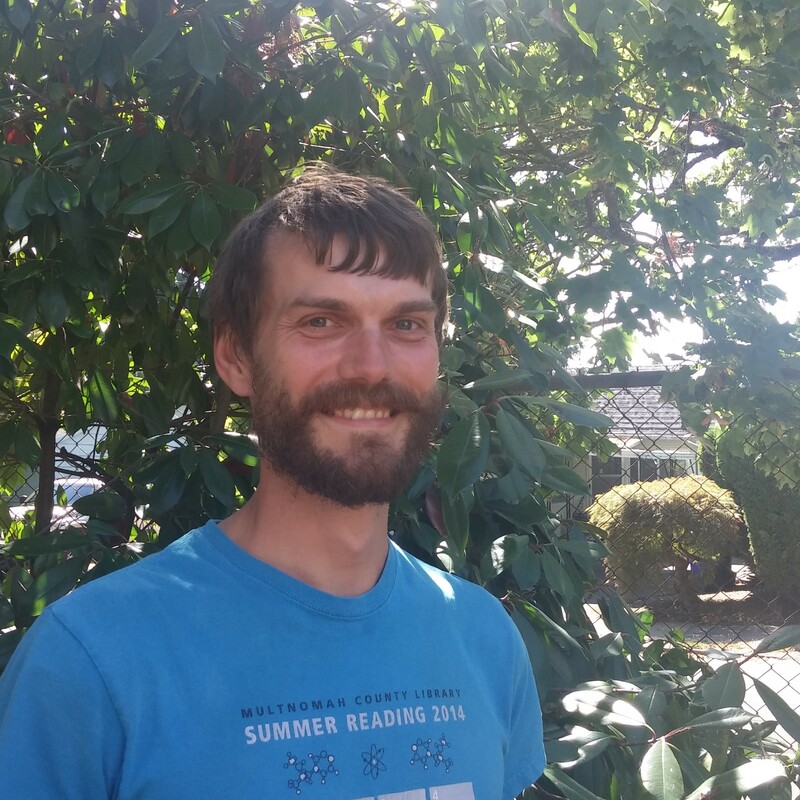 In addition to serving Wild Lilac, Stephen is also the co-president of the Portland Metropolitan Chapter and co-secretary of the state Governing Council of the Oregon Association for the Education of Young Children. As a Certified Master Trainer, Stephen provides professional development workshops through Childcare Resource & Referral of Multnomah County as well as in other settings and venues. Entering her sixth year at Wild Lilac, Lindsey is thrilled to step into her new role as Associate Director. Lindsey was born and raised in Reno, Nevada where she studied at the University of Nevada, Reno and earned a Bachelor of Science degree in Human Development and Family Studies with an emphasis on Child and Infant Development. 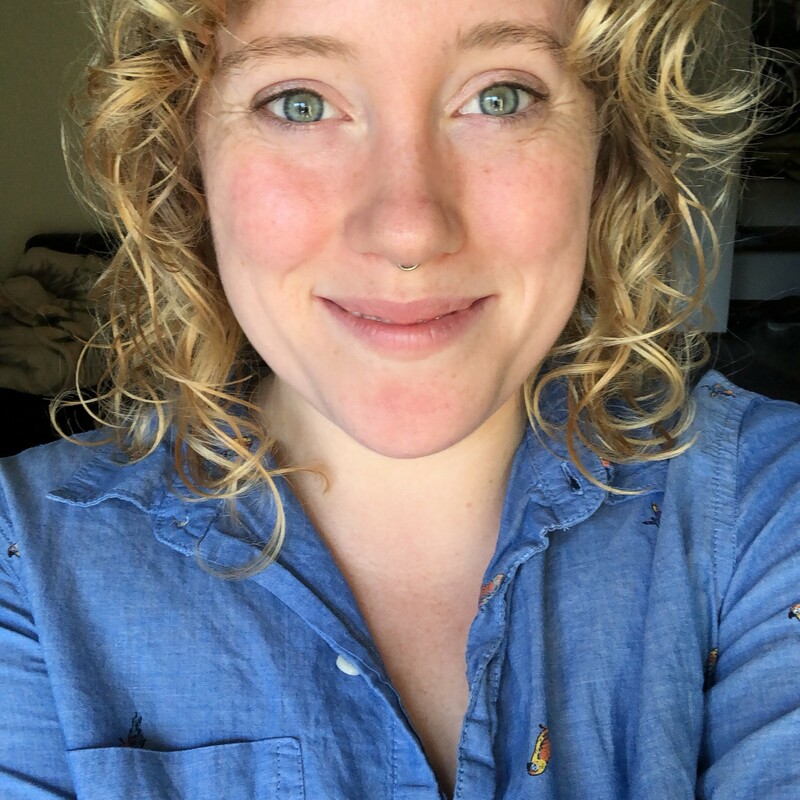 Lindsey also holds a master’s degree in Curriculum and Instruction with a specialization in Early Childhood Education from Portland State University. Lindsey has worked with infants, toddlers, and their families for the last eleven years. In July 2015 she traveled to Italy with 3 other Wild Lilac educators to participate in a study tour of the schools of Reggio Emilia. During this experience, she was able to reflect upon her own practice as well as develop a deeper understanding of quality care and education for young children. Lindsey believes that young children should be free to learn and explore through play, inquiry and investigation. As a teacher, she fosters this learning by creating a welcoming, engaging, and nurturing environment, expanding curriculum based on children’s interests, and treating all children with respect and dignity. In her free time, Lindsey enjoys gardening, reading, cooking, camping, traveling, and spending time with family and friends. Jenn has been a teacher at Wild Lilac since 2016 when she started with the Bluebell class. After seeing those children up through their Tulip and Daffodil years, Jenn is taking a pause from being in the classroom full time. She is excited about getting the chance to help out in the office and thrilled that she gets to remain connected to the wonderful children and families of Wild Lilac. Jenn will also be providing afternoon breaks to the Bluebell, Tulip, and Daffodil classrooms and is looking forward to forging new connections that might not have been made by staying in one classroom. If you see her in the office or around the school, please stop and say hi! Entering her fifth year teaching at Wild Lilac, Dana is delighted to be working with the young infants of the Bluebell classroom. Born and raised in Kansas, she moved to Oregon in 2001, and now considers Portland home. Dana has a degree in Elementary Education and has taught a variety of ages in both private and public school settings. She is passionate about teaching preschool because she considers early childhood to be an extremely important and magical age, when so much is blossoming socially, emotionally, physically, and cognitively. Dana is grateful to be a part of Wild Lilac, finding its community of children, families, and teachers truly inspiring. Dana is the proud mother of Cy, who graduated from Wild Lilac in the summer of 2017. In their free time, they enjoy reading books, baking, playing music, and exploring the beautiful parks and natural world of the Northwest together. 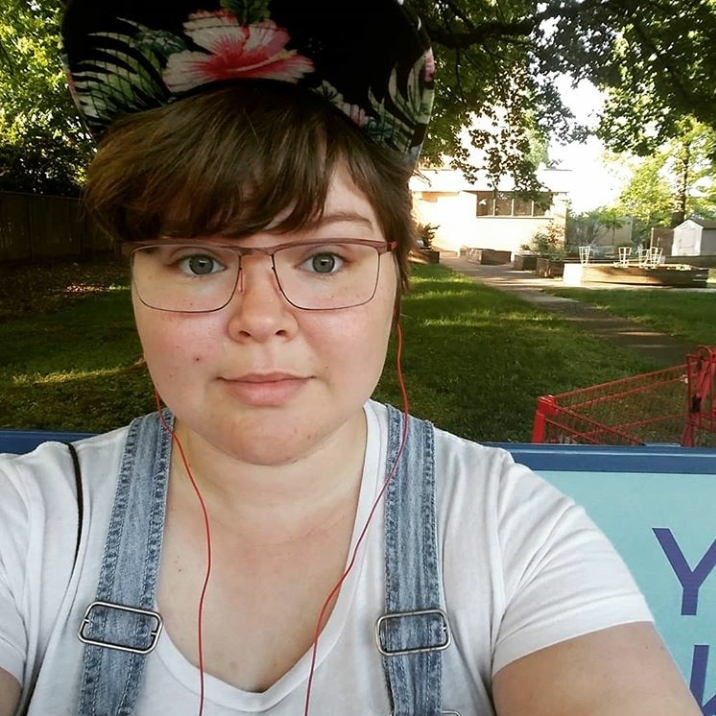 Emily or Em (pronouns: they/them) was born and raised in Minnesota with their parents and sister. Em graduated from Hamline University in St. Paul, MN with a BA in Women’s Studies and Sociology. Shortly after graduating they found their first teaching job as an assistant teacher at a Montessori school and fell in love with teaching young children. They have been working with children in centers for the past five years and were a lead teacher at a center here in Portland for the last three years. They bring their passion for social justice and grassroots resistance to teaching by fostering critical thinking in children and instilling a love for their community, the world, and those around them. Em believes that creating a safe, supportive environment in the first five years of a child’s life is integral to development and aids in strengthening our communities. They are truly excited to join the Wild Lilac community this school year! In their free time, you can find Em hanging with their dog Keno, making zines, reading, and practicing SFX and drag makeup. Amanda grew up here in Portland. She remembers finger-painting, playing on a typewriter and dancing to “La Bamba” with other children in her preschool. In elementary school, Amanda was inspired by her third-grade teacher Mr. Browning because he treated his students as individuals. Amanda attended Riverdale High School in Southwest Portland where she was encouraged by her teachers to make art and music a part of life. Amanda graduated from Columbia College Chicago in 2012 with a B.A. in Cultural Studies. Amanda’s childcare career officially started when she became CPR certified at age eleven. Amanda became the neighborhood babysitter and always looked forward to her time with the kids, usually bringing craft projects, books or a game along. This evolved into working as a nanny where Amanda spent years splashing, dancing, reading, cooking, folding laundry and living in awe of the whimsy of childhood and family life. Once Amanda became an Early Head Start teacher in Vancouver, WA and entered the infant classroom, something clicked. She felt endlessly dedicated to the support and development of young children and their families. Her approach is patient, flexible and family-centered. Amanda is delighted to join the Wild Lilac community in the Bluebell classroom this year. When Amanda is not in the classroom, she is outside talking to her backyard chickens, growing vegetables and loving stand-up comedy. April is entering her fifth year as a teacher at Wild Lilac. Her decision to work in Early Childhood Education stemmed from her desire to spend more quality time with her son Anthony, now 10 years old and entering 5th grade at Arleta School. April had been a Restaurant Manager, Sales Associate and a Food Service Professional for years, but when Anthony was a toddler, she discovered how fulfilling it is to work with children. She realized how much she truly enjoyed watching children discover the world around them and sharing in their sense of wonder as they learn and grow. April is the daughter of a Forest Ranger mother and a Singer/Songwriter/Actor father. Her hobbies include singing, acting, reading and enjoying the outdoors. Therefore, it comes as no surprise that she loves exploring books, music and other creative endeavors with the children, as well as helping them find the magic in our school’s natural surroundings. The love, laughter and joyful delight that is a part of everyday life at Wild Lilac makes each moment spent with the children and their families truly special. April is passionate about working together with her co-teachers and the families of this amazing community to help give the children the tools they need to thrive and grow into independent thinkers who can ultimately find happiness and success in the lives that they choose to live. While she is well traveled and has lived in many different places throughout her life, April now resides in SE Portland with her son Anthony, dog Sierra and Bonnie the Bunny, whom they adopted from Wild Lilac at the end of the 2014/2015 school year. 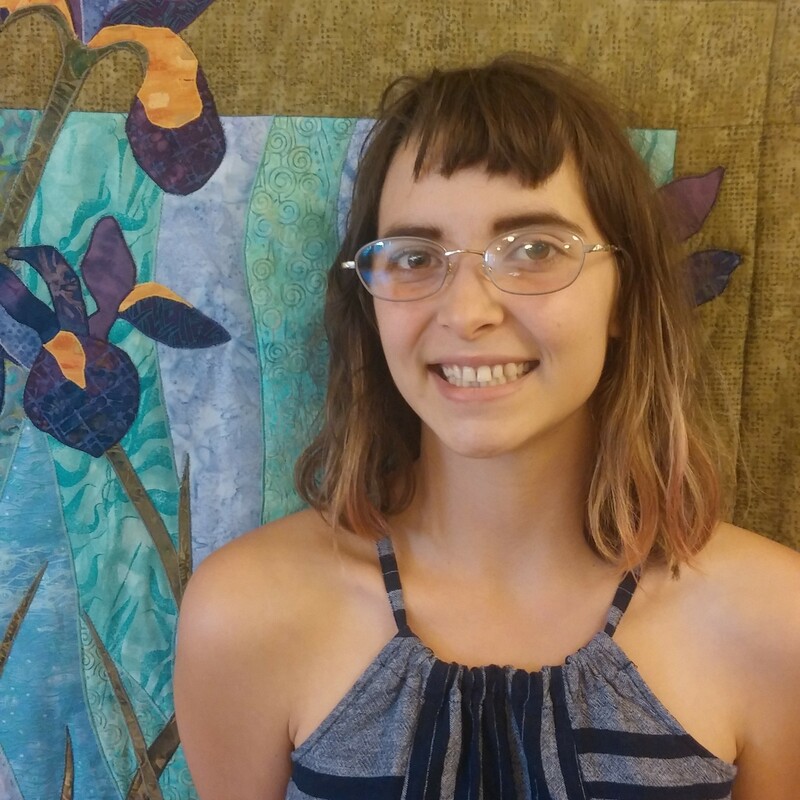 This is Aimee’s fourth year at Wild Lilac CDC and she is thrilled to be teaching alongside April and Sarah in the Tulip classroom. Aimee grew up in Issaquah, Washington, where she spent most of her childhood playing outside in the Issaquah Creek. Being able to play outside instilled in her a passion for caring for our natural world. 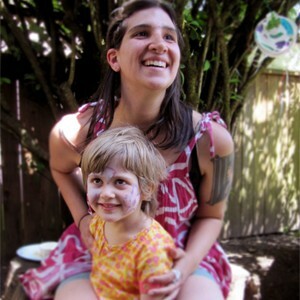 In 2009, she attended Western Washington University with the intention of obtaining her Bachelors in Biology, but soon discovered a calling to work with children and dived into studying Reggio Emilia practices. 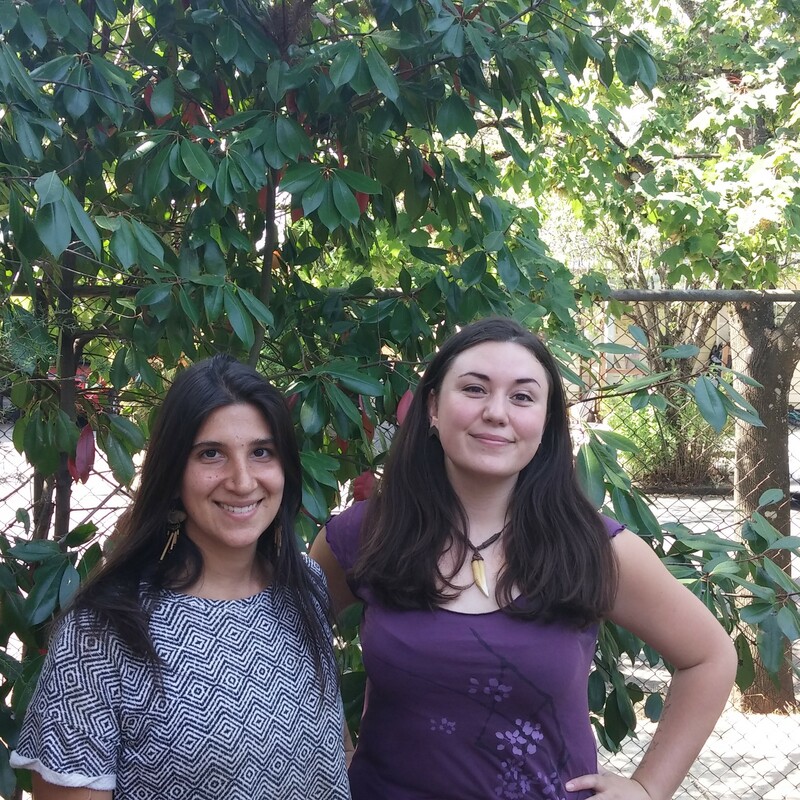 After graduating with her Bachelors in Early Childhood Education, Aimee moved to Portland to deepen her understanding of Reggio Emilia and have found a home here at Wild Lilac. She is always in awe of children’s creativity, view of the world, and their innate search for knowledge. She believes all children have the right to an education, and regularly seek out ways for all children to come together and work together as a community. She is looking forward to growing and learning more with you and your children this year! Sarah was born and raised in Germany and recently emigrated to the United States after marrying her American husband whom she met in Thailand. Growing up, Sarah was the go-to babysitter for all her family and friends’ children in the village where she was raised. After graduating from high school, Sarah spent a year volunteering in Thailand as a Preschool and Elementary school teacher where she taught English to children from 3 to 12 years old. 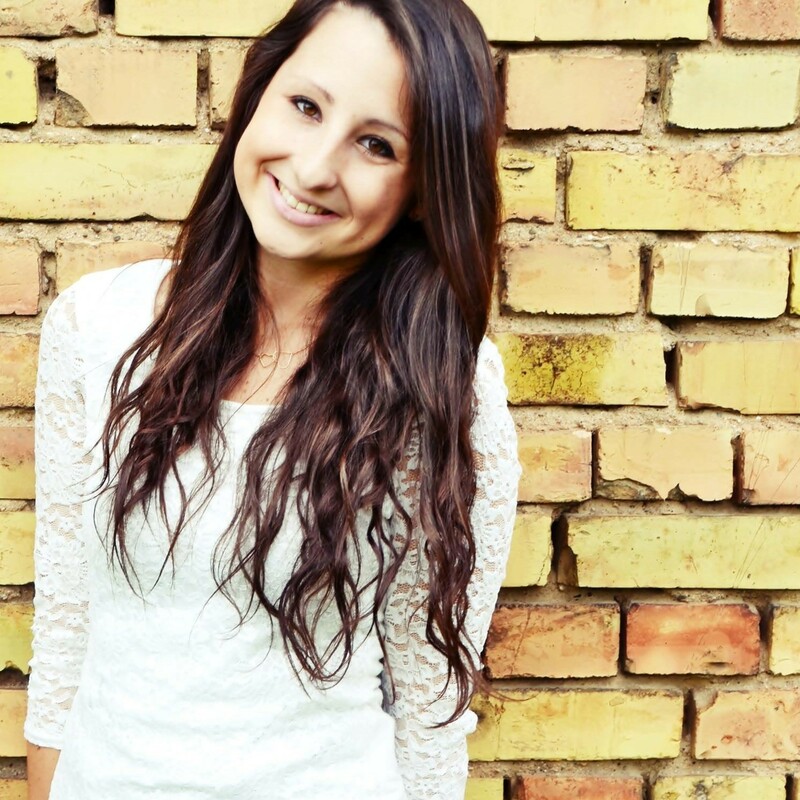 Upon returning to Germany, Sarah attended university and obtained a Social Sciences degree. Once her education was completed, she was able to finally get married and she made the decision to start her new life with her husband in the beautiful Pacific Northwest. Since moving, Sarah has spent time caring for her newborn niece, volunteering at preschools, and improving her English. Her passion for children has fueled Sarah’s desire to spend the upcoming years with them–especially infants and toddlers. 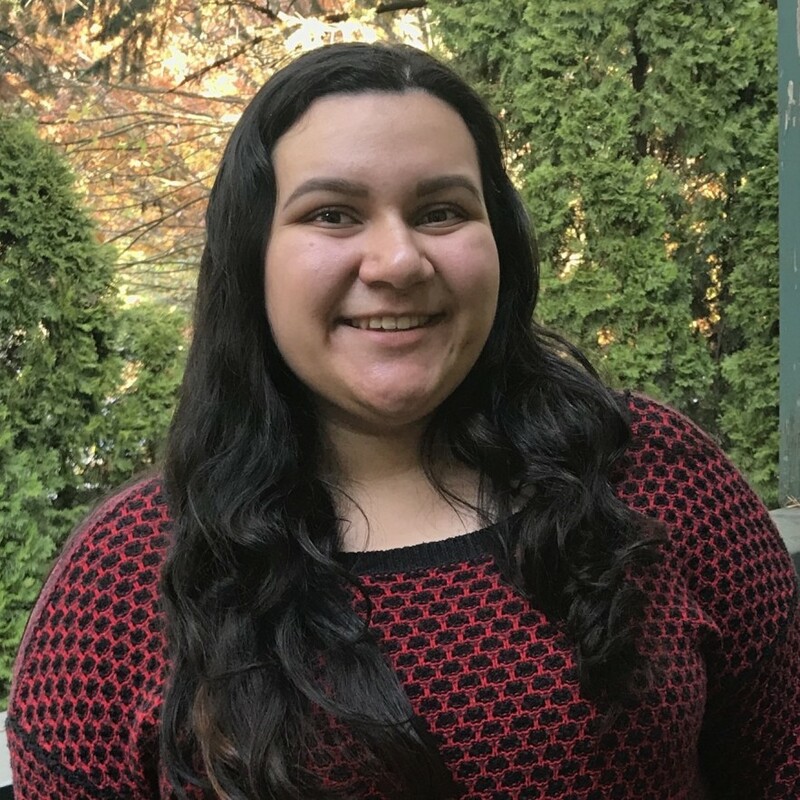 Sarah accepted her position at Wild Lilac Child Development Community after comparing the atmosphere, mission, and philosophies with several other schools in the Portland area. She believes the Reggio Emilia philosophy is a wonderful approach to help children develop their own personalities. Sarah is eagerly awaiting the next school year and can’t wait for the opportunity to spend time in the Tulip Room and experience new adventures together. Breanna is so excited to transition to the Daffodil classroom at Wild Lilac with the Tulip students she taught and cared for last year. She first came to the center as a practicum student in the Tulip classroom in 2016. She was captivated by the free spirits and powerful minds of the young toddlers and knew that this was a program she could get behind. Her passion for young children is primarily focused on infants and toddlers. Their young and malleable minds deserve so much attention and the milestones they achieve in their first couple of years are so important to future success. She graduated from Mt. Hood Community College in June of 2017 with a degree in Early Childhood Education. She believes that teachers are lifelong learners and surrounding yourself with other passionate teachers and supportive families is so inspiring. The Wild Lilac community has so much to offer young children and she is looking forward to taking every opportunity she has to embark on happy and healthy adventures with Wild Lilac’s youngest kiddos! Breanna strives to continuously celebrate and empower the individual differences and passions of all children. Unconditional care and respect to children is a core value that she associates with high self-esteem, creativity, and kindness. She firmly believes that creating strong relationships with the entire family will promote a child’s best chances for success in discovering their capabilities as empowered, independent explorers in their own great big world. Sanoe was born on the beautiful island of Kauai, and began calling Oregon home shortly after. She started her journey at Wild Lilac as a practicum student from the Mt. Hood Community College Early Childhood Education Program in 2016. Shortly after she became a substitute teacher and has worked in a number of classrooms since, focusing on infant-toddler care and education. 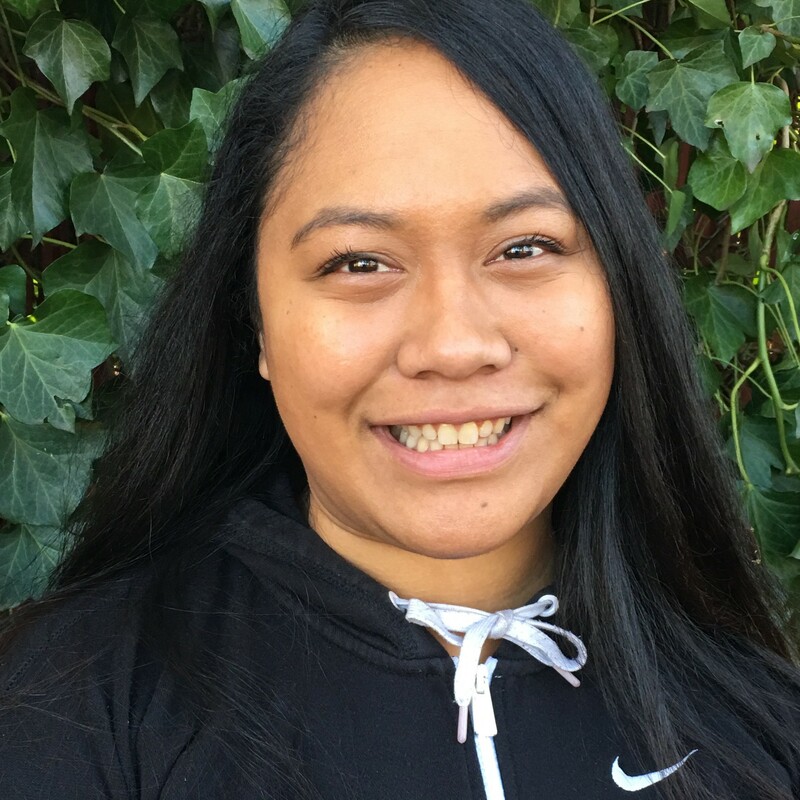 Sanoe earned her Associates Degree in Early Childhood Education in 2017, with plans to further her education in the future. She has dedicated countless years to serving children and youth in numerous settings before and beyond Wild Lilac including babysitting, camp councilor and a leader at Vacation Bible School. In her spare time, she enjoys spending time with her pups, Daisy and Kekoa. Sanoe stays connected to her culture by dancing hula with her family. Lastly, she enjoys spontaneous adventures with anyone who is willing. Eliza is very excited to pursue her career in early childhood education at Wild Lilac. 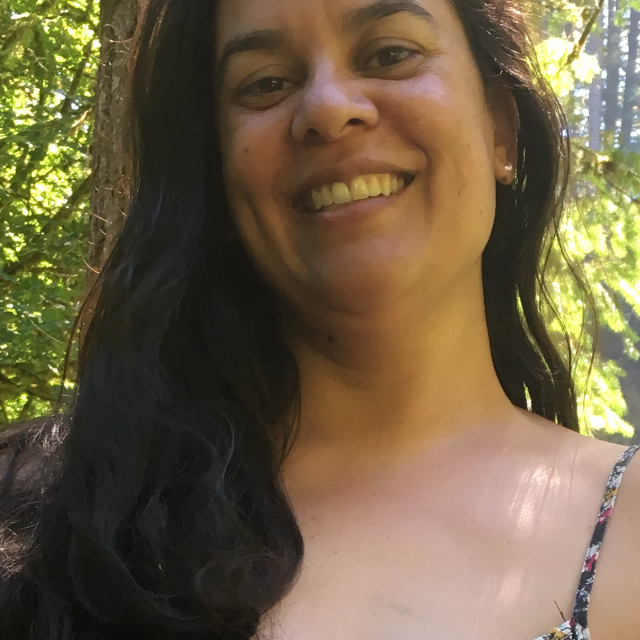 She studied Biology, specifically Plant Ecology, at Willamette University in Salem, Oregon and is interested in sustainable agriculture and the ability to explore and play outside with young learners! Eliza grew up in Juneau, Alaska, where she had experience in childcare through babysitting and volunteering in classrooms. From there she continued to pursue being an educator in various settings including summer camps and outdoor education. She loves the continual curiosity that young children exhibit and being an active learner along with them. She believes the process of watching children explore, play, problem solve, and personally grow is one of the most rewarding. She believes that with positive reinforcement and a healthy environment of being able to make mistakes and learn from them, a child (and even adults) can grow and learn in a community. She is looking forward to having that opportunity to do just that at Wild Lilac. In her spare time, you can find Eliza hiking, camping, tide pooling, drawing bugs, embroidering and enjoying the company of her friends and family. Gabe grew up in the Snoqualmie valley outside Seattle. As a young person, he enjoyed science, stories, games and lots of forested fantasy play: building defenses for goblin invasions. As a teen, he moved to Seattle to study philosophy. After many odd jobs, he ended up tutoring in an elementary school, where he was inspired by the natural poetics and imagination of young people. 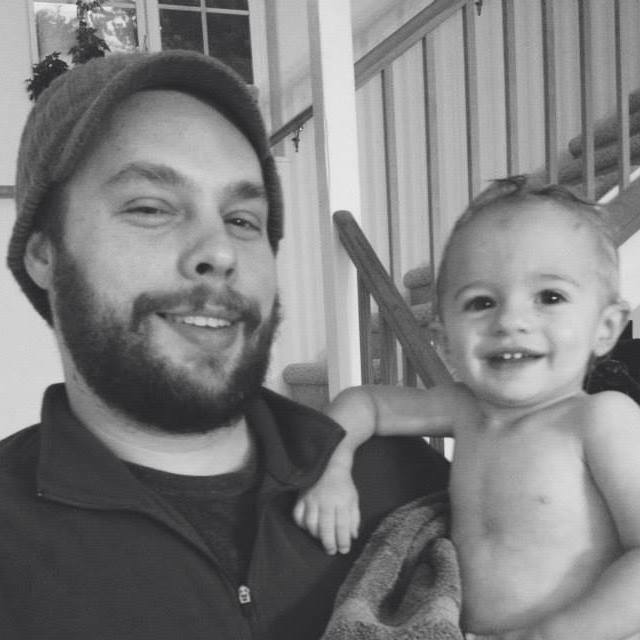 Shortly after he returned to school and finished a M.ED in Early Childhood Special Ed.. He became inspired about anti-bias education and critical pedagogy, settled into a pioneering Head Start, emphasizing dual language learning and multicultural, social justice education. He moved to Portland six years ago, set on working in a Reggio-inspired, justice orientated school. And now here he is, entering his sixth year at Wild Lilac. On the weekends, you might find him exploring his neighborhood by bike, gaming with friends, backpacking, or sipping coffee over short fiction or graphic novels. Valarie was born and raised in San Francisco. Her interest in young children started with the birth of her first child. Her fascination with watching him develop lead to a heart-connected understanding of child-led learning. This motivated her to become an involved and passionate unschooling mom to her children and community for 12 years. She and her family moved to the Portland area in 2009. She recently graduated from Mt. Hood Community College with a degree in early childhood education. She also has a degree in visual arts. She enjoys the energy of young children, and guiding them towards expanding their knowledge of the world around them by developing trusting relationships and following their interests. Valarie has been studying compassionate communication skills for 11 years and frequently demonstrates this in the classroom. She finds that acknowledgement and acceptance of emotions using compassionate communication can facilitate understanding, listening and problem solving. She believes that compassionate communication along with exploration and choice in a play based environment can empower young children to become self regulated and motivated to learn about and understand their world with greater ease. Valarie is also interested in music, art, knitting, crocheting, cooking, gardening, nature, meditating and spending time with her three children and fiancé, Robert. Katie was born and raised in Eugene, Oregon. She went on to attend the University of Oregon, where she received her Bachelor’s Degree in psychology and a minor in special education. She started teaching at one of her University’s early childhood centers in the fall of 2014 and fell in love with being an early childhood educator. Since then Katie has gone on to volunteer in various classrooms, worked at a preschool, and nannied and babysat for many families over the years. She is very excited to join the Poppy classroom this spring and meet the other teachers and families in the Wild Lilac community! Katie has always had a strong respect and love for nature, animals, music and dramatic play. She strives to incorporate these loves into her teaching and share the joy with her students. She is passionate about creating welcoming, empathy-centered spaces and making sure all her students feel loved. 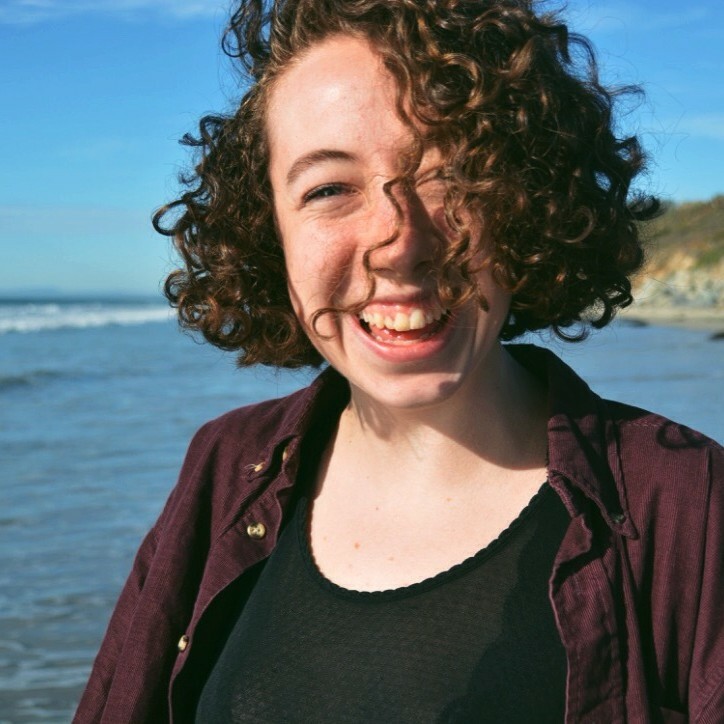 When she’s not in the classroom, she enjoys singing and playing guitar, exploring by foot, and connecting with friends and family over food and storytelling. Becky grew up in Virginia where she learned to love community cooking, sharing stories, and living in the shadow of mountains. She got a degree in Wildlife Conservation and began teaching as a naturalist at a state park in Delaware. 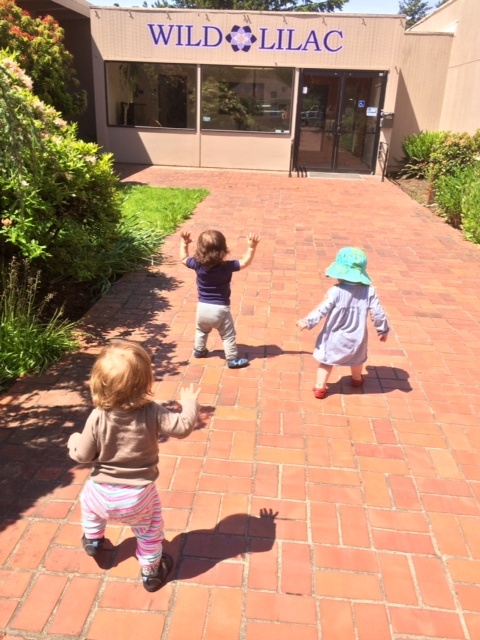 Her love for environmental education carried her out to Portland where she inadvertently fell into childcare. When left to her own devices, she can usually be found looking for bugs in the grass, slowly reading through several books at once, or talking really loud and fast to her friends. Individual personal connections are what drew her into early childhood education. The thing that keeps her interested and engaged in the field of teaching are its broader social applications. Building healthy classrooms with children is the most fundamental way to build a healthy world, and our schools have tremendous potential to build communities that subvert damaging systems and norms. She’s happy and proud to be a part of Wild Lilac where building healthy communities with children is a goal shared by all. Nikki has worked as a teacher and/or administrator in zoos, botanical gardens, natural history museums, historic houses, traditional public schools, private schools, after-school programs, summer camps, and as a sometime homeschooling parent. She was a long time stay-at-home mom and ardent school volunteer. Nikki’s teaching philosophy is strongly rooted in humanistic and constructivist ideals; she believes people learn through experience, and from opportunities to reflect upon experience, both as individuals and in social settings. She is also a strong proponent of Multiple Intelligences theory. Nikki has a BA from Sarah Lawrence College, and an MS in Museum Education from the Bank Street College of Education. Nikki grew up on a small farm in Michigan where she raised goats and made cheese. She is not particularly melodic, but she sings loudly anyhow. She is an avid lover of children’s literature and storytelling. She is a comedy writer and publishes and performs her work around town. Her dog Calvin, a Chinese Crested Hairless mutt, is her most beloved friend. Nikki’s tattoos include a bumper car, an ampersand, and the chemical formula for prozac. Her own children are adopted from Vietnam and are now teenagers. They attended PPS through middle school, at which point they each adamantly demanded to have a private Catholic education. Nikki’s older son is transgendered and presently attends UC Davis, where he double majors in dance and pre-med. Her younger son just got his driver’s license. He plays forward and wing for the Westside Timbers (U17s) and is a budding hair stylist. Nikki’s husband is an Associate Director of Technology at Reed College and tosses a mean pizza. Her bonus partner is a writer, a teacher, and an ethical landlord. When you see Nikki, you might not think so, but she has participated in the World Naked Bike Ride four times. Huzzah! Nikki is delighted to become a member of the Wild Lilac community. 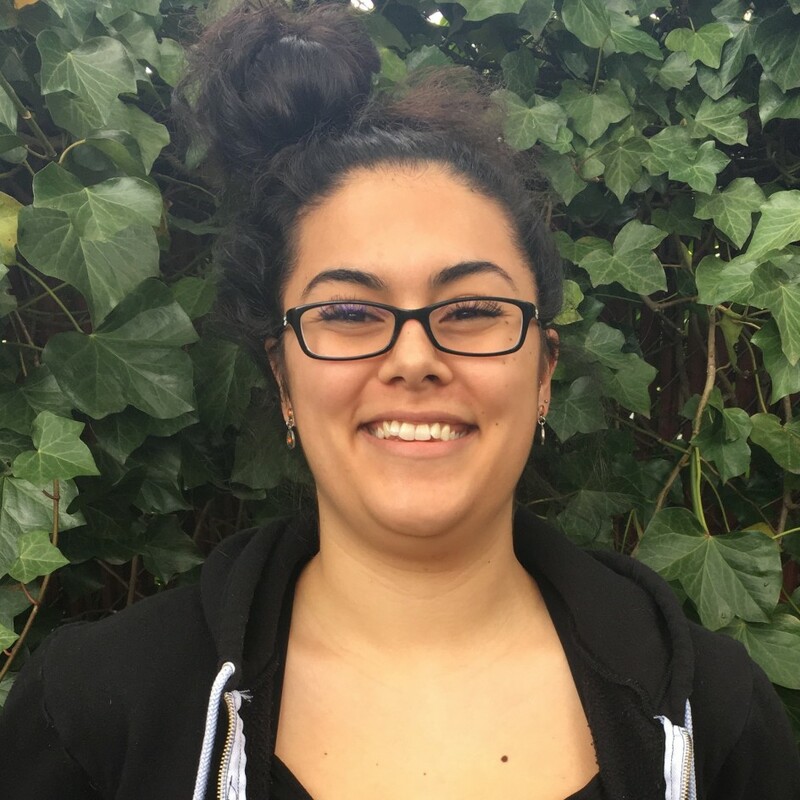 Adriana was born and raised in a small town in Central Oregon and moved to the Portland area two years ago. She grew up surrounded by family, many of whom were younger cousins. As she grew older, she would gladly babysit for her family. Playing with her younger cousins and listening to their imaginative stories is ultimately what led her to choose to work with young children. She studied Early Childhood Education and Child Development at Mt. Hood Community College and was a practicum student here at Wild Lilac during her second year. During her time in practicum, she truly fell in love with the philosophies towards children and their families demonstrated at Wild Lilac. Adriana believes that children are brilliant little workers who view their world in a different light; they are still trying to make sense of the world around them and she finds joy in helping them interact with each other as well as their surroundings. She believes that everyone deserves to be treated with respect and kindness. In her spare time, she can be found singing loudly, dancing badly, doodling in a sketch book, and playing fetch with her dog Kovu. If asked to describe herself in so many phrases Autumn would say that the truth of any one person resists simplicity. When she’s not waxing philosophic she’s busy maintaining interests in things like reclaiming domestic skills as a form of resistance against capitalism, developing critical language around digital media, working toward a zero waste lifestyle, engaging in social justice for marginalized communities, and making experimental theater and glitch art. She’s passionate about sharing these ideas with children as well as having them teach her to slow down and appreciate the moment she’s in and the community she’s a part of. Madison is very excited to continue her career in Early Childhood Education at Wild Lilac, beginning her second year as co-lead teacher of the Iris classroom. She studied Philosophy and Writing at the European College of Liberal Arts in Berlin and Literature at Lewis & Clark College in Portland. She first joined the Wild Lilac staff four years ago with a little experience in formal childcare and has found that she is very passionate about education and the importance of play in the lives of children and adults. She is interested in studying the variety of outlets children use to express emotions and how these strategies translate into communication between adults. She also likes to bring in her love of story-telling, photography and bees to further explore with the class! During her free time, Madison likes to paint large portraits of birds, look-up information on honey bees, and research the personal lives or obituaries of her favorite writers. Michelle has been cooking for Wild Lilac for over nine years now. Having grown up in Northern New Jersey amidst a large Italian family, Michelle spent a great deal of time in the kitchen as a child, interacting with the aromas and textures of foods prepared by the many cooks in the family. Meals were long and celebratory, despite the occasion, and love and laughter was always in abundance. After moving to Portland almost ten years ago, working an odd job making bread and boiling bagels in the wee hours of morning, Michelle found the loving community of Wild Lilac. Michelle was immediately drawn to the way children are given space and time to explore the world around them. It was evident that cooking for children was going to be so much more than just preparing meals, but in sharing the experience with individuals who are so eager to engage in the whole process. In recent years, Michelle has been interested in urban farming, eventually transforming a barren yard of her own into a haven for plants and flowers, for birds and insects. Michelle now supports Wild Lilac’s Kitchen and Learning Garden, where children can grow and nurture plants, and also experience and prepare foods in the Kitchen Studio, adjacent to our kitchen. Michelle believes strongly in the farm to table connection, and that inviting children to help grow their food can inspire them to go deeper, to develop trust, and to ultimately try and maybe even enjoy new foods. 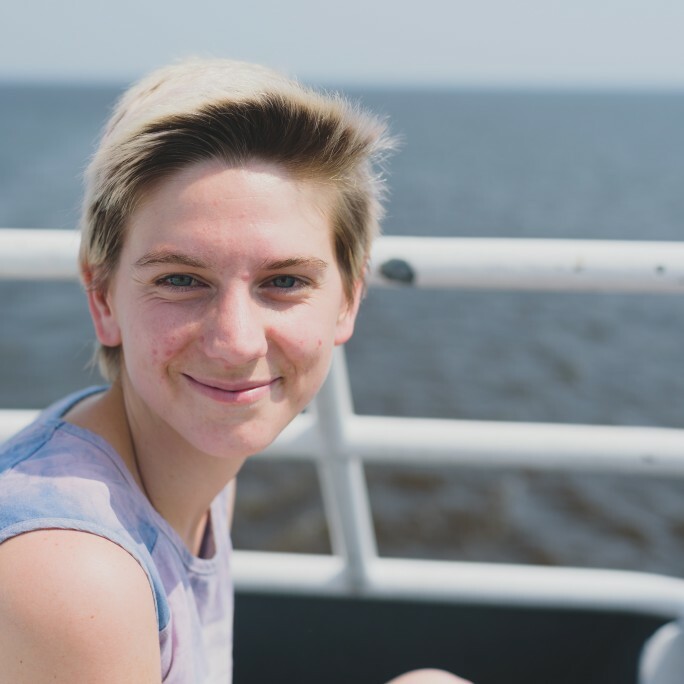 In her time outside of school, Michelle likes: spending time in her garden with her partner and fellow plant lover Jesse; foraging for natural materials; pressing flowers; and visiting the ocean. Elizabeth Schulte is a sixth-generation Oregonian, very tall, and happy to be the Sous Chef in the Wild Lilac kitchen. She enjoys working with chef Michelle to plan and prepare delicious and interesting food. She also is a county extension service Master Food Preserver and Master Composter, and is training to become a Master Gardener. In her free time, she enjoys growing rare and exotic plants, hula-hooping, and thrift store shopping. Her favorite food is Indian, her favorite author is Margaret Atwood, and she enjoys community radio, amateur mycology, and the Oxford comma. She breeds heritage ducks and rabbits in her backyard. She lives with her botanist and spice trader partner Brian and their enormous pet cat Onion.